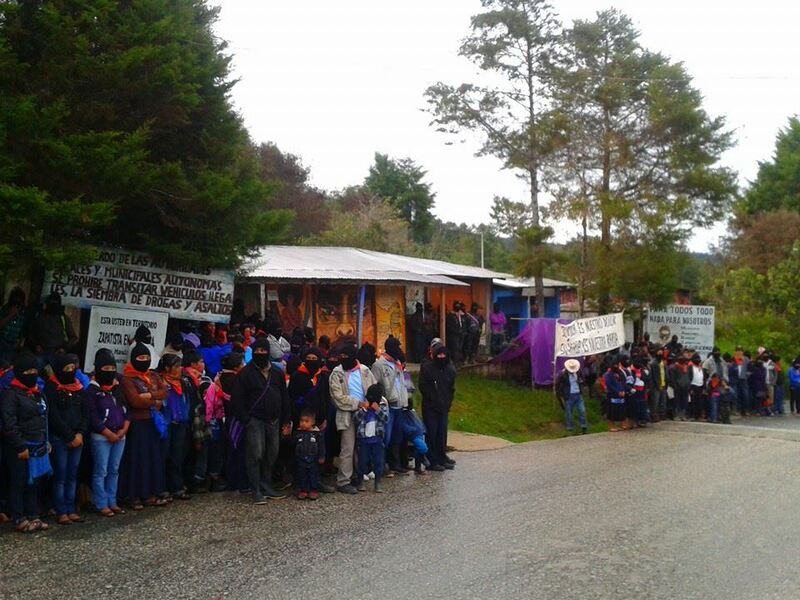 Just as was happening in different parts of the country and the world, thousands of Zapatista support bases once again demonstrated in silence, this time from the autonomous communities, to demand the presentation alive of the 43 Ayotzinapa students and for the freedom of Mario Luna and Fernando Jiménez, political prisoners from the Yaqui people. 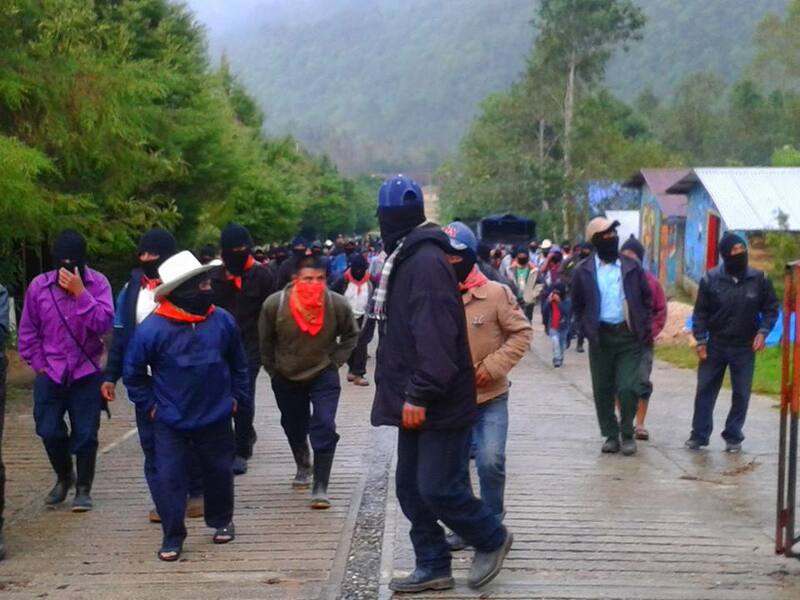 As they had announced, the Zapatistas demonstrated on Wednesday afternoon, October 22, in the communities and roads of the state wherever they have a presence, in solidarity with the Ayotzinapa students and the Yaqui people. 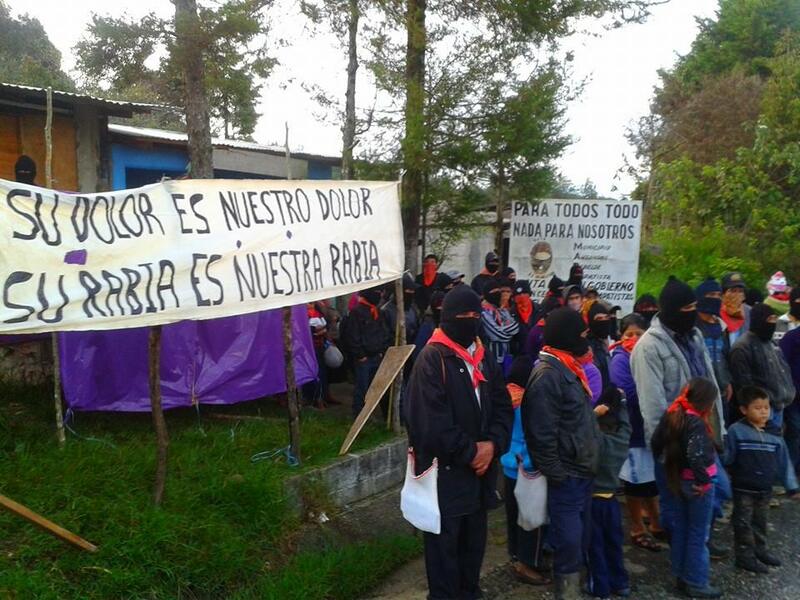 In the Caracol of Oventic and nearby communities, banners are seen with legends that demand the presentation with life of the 43 students of the Isidro Burgos Rural Teachers College, of Ayotzinapa, Guerrero, as well as punishment for those responsible for the murdered students and the forced disappearance. 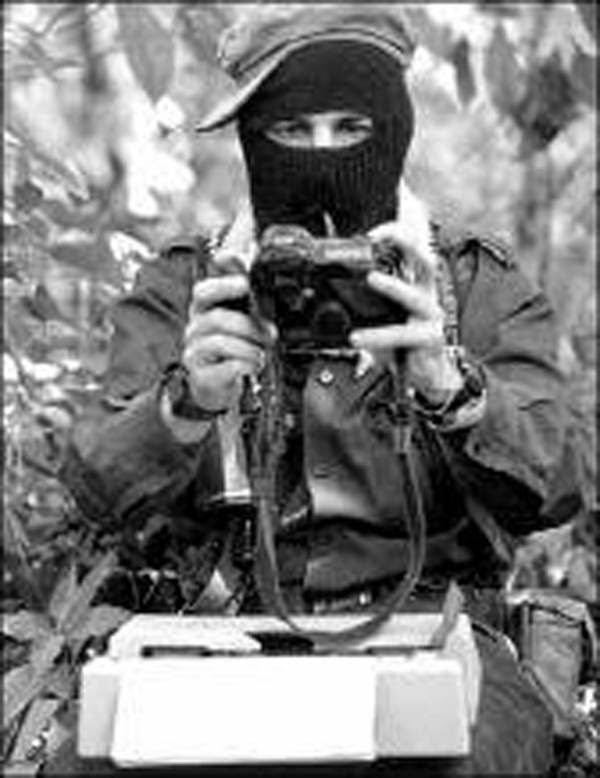 “It is with rage and rebellion, not resignation and conformity, that we from below do our grieving,” said Subcomandante Moises in his letter of 20th October. The Zapatista bases also demand freedom for members of the Yaqui people, Mario Luna and Fernando Jiménez, prisoners for defending their land from the “independence” aqueduct, which the Sonora government wants to impose. In the demonstrations the rebel Chiapanecos are also seen making offerings and carrying candles for the wellbeing of the disappeared students. In different Chiapas cities, students, teachers, social organizations and human rights centres carried out marches and meetings to demand justice for Ayotzinapa.